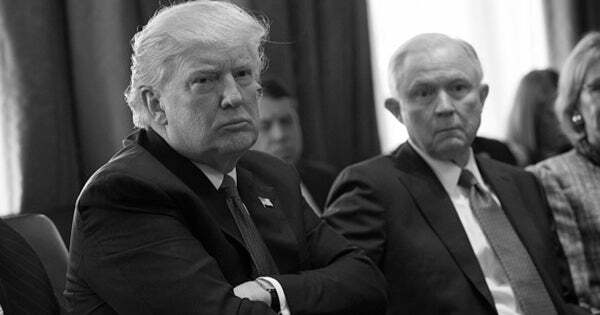 Why Hasn’t Sessions Cleaned Out the Deep State? RUSH: This is Jay in Columbia, South Carolina. It’s great to have you with us. How you doing, sir? CALLER: What we have here, Rush, is Alinsky 101 with regard to Clinton and the Obama administration, which is accuse your opponent of exactly what it is you yourself are guilty of. We all knew that the real Russian collusion was between the DOJ, the FBI, the Obama administration, the DNC, Hillary campaign, and the communist mainstream media. And what we all knew has now been confirmed in the memos. We also knew from the text between Strzok and Page that they conspired to take out a presidential candidate and then the president of the United States when they were talking about they needed insurance and they were giddy about the opportunity to impeach Trump after he learned about the opportunity to proceed with a fabricated Russia collusion hit piece. CALLER: So how is it that those guys still have a job at the FBI and what is Jeff Sessions gonna do? 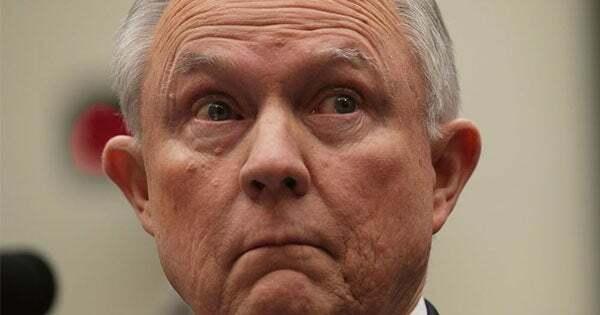 Have you heard anything about Jeff Sessions putting any of this forward? Has he gotten off his you-know-what to do anything about this? I’m telling you, if this were done by the Democrats, they would already have 24/7 video of people being perp walked. RUSH: Yeah. I hear you on that. Strzok did lose his gig with the special counsel team. He’s been reassigned. And so was Ohr. There have been a couple people involved on the FBI side who have been reassigned. I don’t know that they were fired, but they have been demoted. And there’s one other name but I’m having a mental block on another FBI person that’s been sent packing on this. As to Sessions, I haven’t heard anything, but I don’t know that I necessarily would if there’s anything clandestine going on. Look, I hear you. At this little appearance I did yesterday, a hundred people, it was a fundraiser, it was not cheap to get into this thing, that’s why the crowd was a hundred people. Anyway, whenever I talked about, whenever I made a point that it was necessary to defeat these people, whenever I implied that it was these people conspiring to break the law, the crowd went nuts. I think there is a clamoring out there, just as I’m hearing from you, for somebody to do something about what is obviously a whole lot of people skirting the law and using the power of the FBI to undermine political opponents. People are fed up with it. There’s a lot of frustration that more isn’t being done to address it. At least more than anybody know is going on. RUSH: That’s a pretty big come-down. You’re a prime FBI agent investigator and now you’re in the human resources department listening to people complain about their sick dog? RUSH: That’s true. This is the one thing I have — Trump on the campaign trail, I was confident he knew — he’s the guy talking about draining the swamp — I was confident that he knew what he had to do. It wasn’t gonna be George Bush all over again by trying to show balance and nonpartisanship, good faith by keeping some Clinton holdovers. But that’s the one thing about the President Trump presidency, the staffing, some of the staffing and leaving in place some of these bureaucrats. I’ll just say it puzzles me.